Kestrel™ ‘FL02-40’ | Florida Foundation Seed Producers, Inc. Description: Kestrel™ ‘FL02-40’ is a southern highbush blueberry variety developed at the University of Florida’s Institute of Food and Agricultural Sciences blueberry breeding program. Kestrel™ ‘FL02-40’ is noted for its early-ripening, high evergreen potential, and superior berry quality. Fruit of Kestrel™ ‘FL02-40’ ripen very early, and berries remain sweet even as hues of blues emerge. Flowers of Kestrel™ ‘FL02-40’ open around January 30, and berries ripen around April 22. Berries of Kestrel™ ‘FL02-40’ average 2.40 grams. The berry quality of Kestrel™ ‘FL02-40’ is excellent, as the plant produces berries that are plump, firm, and aromatic. 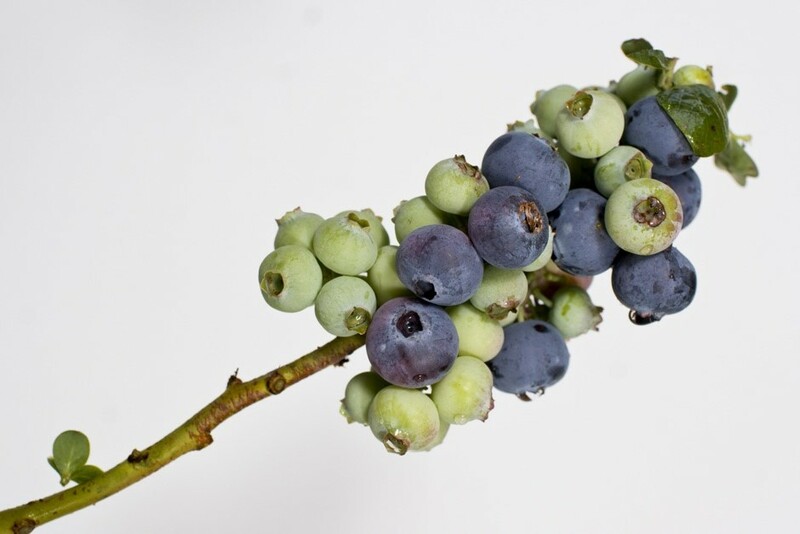 Kestrel™ ‘FL02-40’ produces medium loose berry clusters with very low berry detachment force. Additionally, plants of Kestrel™ ‘FL02-40’ demonstrate prolific early leafing, and this variety has done well in tests of the evergreen production system.